For whatever reason you think you might have built up some adverse credit, the crucial thing to realise, is that your past experiences with credit are just that, in the past and so you could have a chance to start afresh and the fact is there are loan plans for people with adverse credit. No credit score is beyond repair and with time, stringent budgeting and some key financial decisions and lifestyle changes your credit can improve drastically. 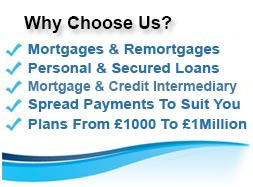 We have dealt with many customers who once had severe adverse credit and after some financial restructuring through a poor credit loan and then keeping to the payment schedule, with our help they can now get access to the best deals on the market from many of the high street banks and building societies. Adverse or bad credit loans are one of the ways that you can raise some much needed finance whilst you still have a less than ideal credit file. If you think you may be in this situation and are looking to arrange a loan, second mortgage or remortgage, feel free to fill in our short on line enquiry form and one of our finance advisers will get back to you in shortly. 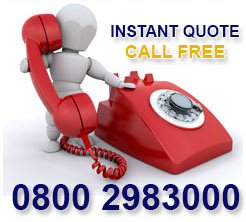 If you would prefer to contact us right away our phone numbers are 0800 298 3000 (landline) 0333 003 1505 (mobile). Adverse credit loans are basically loans that are specifically formulated for people with adverse credit or a low credit score. Having a poor credit score identifies to the lender that you are a greater risk to lend money to and as a result, you will often find that loans for adverse credit command a higher interest rate. However, not as high as you might think, there are still many competitive loan, mortgage and remortgage plans out there for people with adverse credit. If you would like us to take a look at the deals that might be available to you then fill in our short online application form and we will get back to you. Show the lenders you are a responsible borrower by borrowing and paying it back, an adverse credit loan can help with this. Do everything you can to keep up to date with repayments, if you are struggling it may be time to re-finance before a problem hits and you miss payments. Do not make several loan applications in a rush, especially if you are not going to take any of them up, as this can drop your credit rating. Register on the voters roll at your current residential address. Although many high street banks do not offer adverse credit loans, there are many reputable secured loan lenders out there, who can see the value in operating in the adverse credit market. 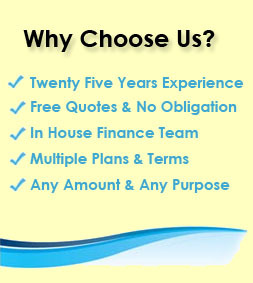 Here at First Choice we have developed many close standing and beneficial relationships with several adverse credit loan lenders. 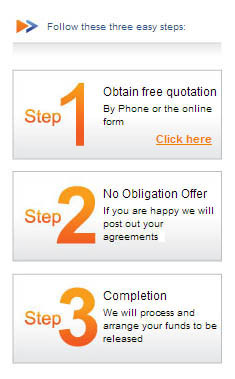 They can provide us with exclusive deals available through intermediaries (such as ourselves) so we can give our customers have access to the deals available. 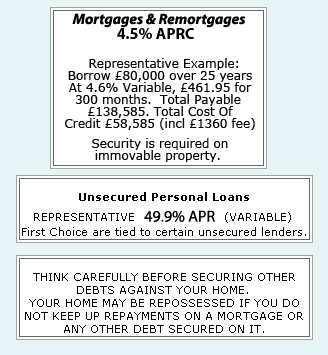 If you would like to find out about these competitive adverse loan plans please call us on the above number and our in house loan underwriters will be happy to help. If you own a property and have adverse credit you are more possibly more likely to be considered for a secured loan, to sit behind your existing mortgage acting as a second mortgage, rather than a personal loan. There are several reasons for this; criteria is often less strict because the lender has some security, you can often borrow more which may be enough to put you in a better cash flow position and you can spread the repayment period over a longer time to make the payments more affordable. 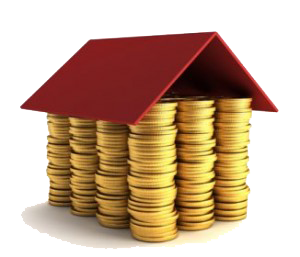 If you do not own a property, or you do not wish to secure any more debts against your property but still believe you need to raise the money, there are some adverse credit personal loans available. Alternatively if it is only a small amount that you want to borrow, up to £7,000 we can provide access to some competitive guarantor loans. With such a loan your credit score is not involved, instead a guarantor often a family member or friend, agrees to meet the loan payments if for whatever reason you cannot and it is their credit history which will be used to decide if the loan is granted in the first place. For more information on adverse credit loans with no credit check head over to our page on guarantor loans on the loans tab.